Mirowski Inspections uses specialized home inspection software and produces inspection reports that thoroughly analyze the home. Your report will include digital photos to help you properly identify items needing special attention and an easily readable format including a summary section for easy reference. Reports are generated electronically and can be opened securely on the internet or delivered in PDF format so your inspection report can be viewed, printed or forwarded as a link. This makes it easier to distribute your report without needing to print, scan, or fax. 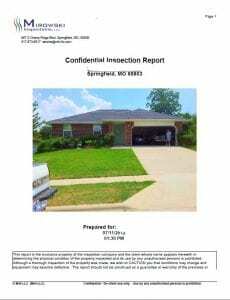 All Mirowski Inspections home inspections include infrared imaging.